Chris and Lisa Chick, both 47, have been together for 20 years and have four children ages 12 to 19. When Chris moved to Onset, Massachusetts with his family, they moved into a house owned by Lisa’s father and from that moment on, the two were inseparable. After graduating high school and a stint in the military, Chris attended North Bennett Street School in Boston where he studied jewelry craftsmanship. He eventually began working with his brother at his brother’s jewelry stores, AJ Marks Jewelers, in Hyannis and Warehem. In the summer of 2012, Chris started experiencing blinding headaches. Assuming it was due to straining his eyes while working, he went to an ophthalmologist, who recommended ibuprofen. When the headaches returned, Chris went to the doctor and found he had extremely high blood pressure, rising to dangerous levels even with serious blood pressure medication. One night, Chris experienced such an excruciating headache he went to the ER, where a CT scan found a mass in his brain. Twenty minutes later, he was on his way to Brigham and Women’s Hospital for emergency surgery. He was diagnosed with stage four glioblastoma, an aggressive form of brain cancer. He began treatment and responded well, but doctors found another tumor during a routine MRI this June. 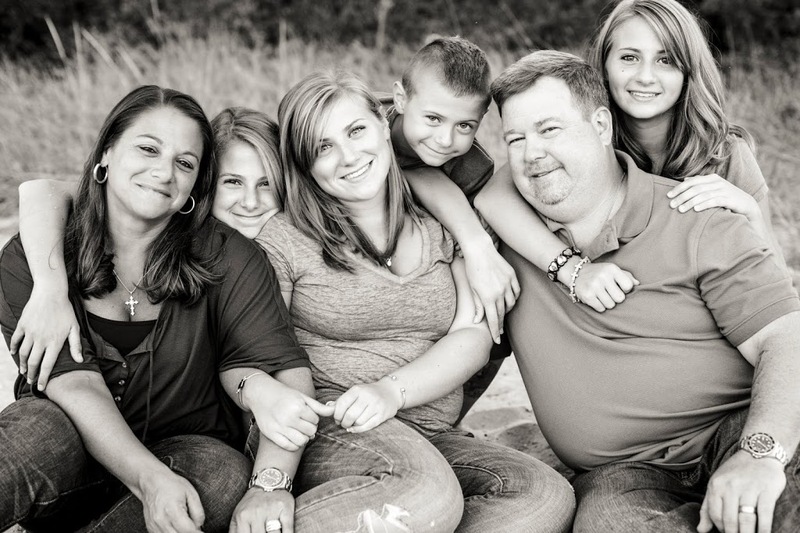 A lifelong Patriots fan and Mansfield resident, Chris was familiar with the Joe Andruzzi Foundation. On the way to treatment one day, Chris got a call he never expected: Joe called to give him Patriots tickets, encourage him and let him know he wasn’t alone in his struggle with cancer. The Chicks were extremely touched by Joe’s actions and their inclusion in various (Up)Beat events like Dream Camp, leading to the beginning of a new friendship. Although they were initially hesitant to accept help from the Foundation, certain that others needed the support more, the Chicks eventually embraced it and used a JAF donation to pay their rent, eliminating an enormous burden that allowed them to focus on treatment. Chris was not expected to survive more than two months, but it has been two years since his initial diagnosis. He is currently receiving treatment at Dana Farber and Brigham and Women’s. Although sometimes it is difficult for the family to stay positive, they are incredibly grateful for the Foundation’s presence, always reminding them to hold onto hope. “We didn’t think Chris would live a year, and we are over two years after diagnosis. You can’t give up hope, you have to keep fighting,” Lisa said.